Photography by a friend SHIGE. Radio control car also runs by voice recognition. 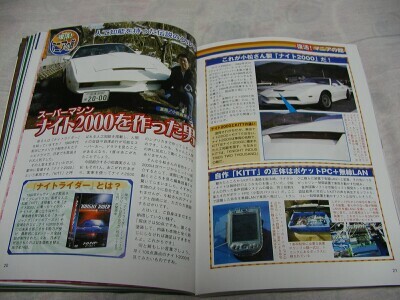 It can do '8' form running, zigzag running, "KITT come here", etc. Turbo jump and ski mode are impossible. For a bad road, when stopping, I say "Your running is poor." KITT talk back "I said that it was not good for running here. I'm not jeep". 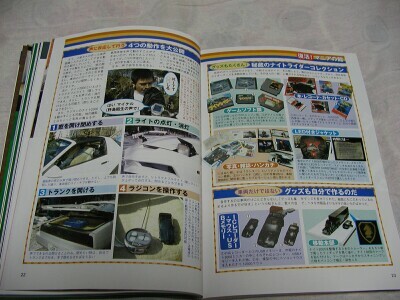 The picture of many goods was taken. Only a few was reported. It was put on the market in 2005/03/25. "The man who made the Knight 2000" LOL. I am satisfied.